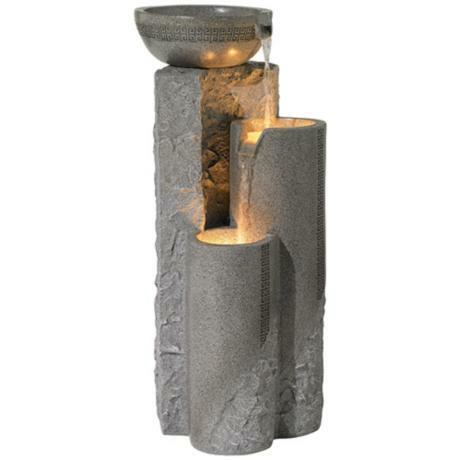 Soft light and cascading water in this fountain make this the ultimate accessory in relaxation. 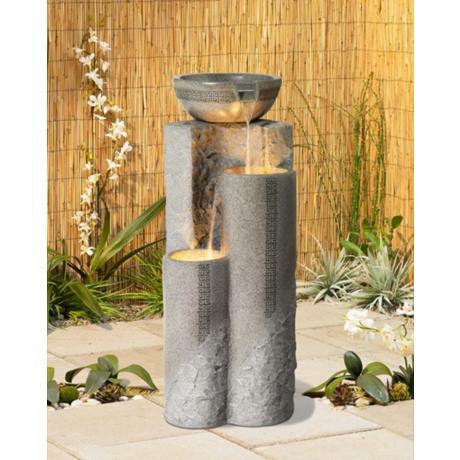 Illuminated from within to create a romantic effect, this indoor outdoor fountain is a perfect addition to your home or patio. The relaxing sound of cascading water falling from the top bowl into the smaller pillars will soothe away your stresses. The faux marble has a luxurious feel. • Bowl and Pillar fountain. • Built-in lights in two lower basins. • Light and easy to move. • Includes pump and 5-feet of cord. • Includes two 10 watt 12 volt halogen bulbs.